Vista has a built in feature called User Account Control which is designed to protect us from ourselves and programs that make changes to the system which could be damaging. 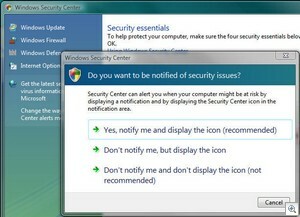 While this is a nice feature to have in some environments, it can become frustrating how frequently the warnings pop up. There are a lot of good reasons to keep UAC enabled. I fear that I have seen the UAC pop up often enough to click “Continue” without taking notice of what the message says, bypassing the reasons for having it. 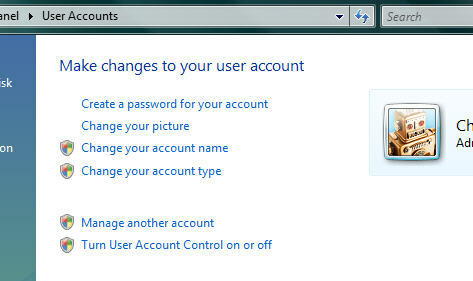 This article will explain a few solutions for how to deal with UAC. Leave the UAC enabled, realising that it is protecting us and that we will only see the warnings when we do something that may come back to bite us later. Disable UAC altogether so we do not get the warning, but compromise security. 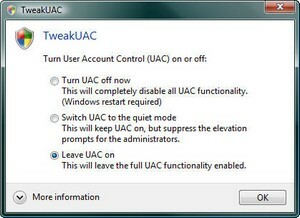 Toggle UAC on and off as we require, though we are more likely to leave it toggled off. Do nothing, deal with the warnings as they come up. I am going to give it a few more weeks at least with it on. I think that the warnings will settle down once I have my computer set up as I want it to be. Vista won’t like you for doing this and will prompt you in your task tray that you have been bad. To remove this cross, right click on the red cross and open up the security center. I am fairly sure that this cross icon is used to warn you of other problems with our computers so disabling it, while solving our problem, can cause more problems down the track. This leads us onto our third option. 3. Toggle UAC on and off. Download TweakUAC from tweak-uac.com. This little utility will allow you to turn it on and off as you require as well as allowing you to run in quiet mode for administrators. I saved the small file on my computer and saved a shortcut into my quick launch box so that I can toggle it quickly if I need to. So these are your current options. I hope that Microsoft will release an update which will allow us to create exceptions. This will allow us to select something like “Continue always” or “Don’t ask me again for this application”. 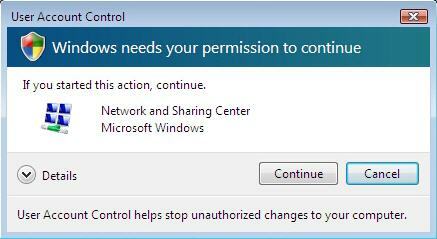 I am not sure why this wasn’t implemented earlier as many of Microsoft’s tools offer this. I hope you have enjoyed this article and found it useful. Please stick around and read some more articles at Inspect My Gadget.